When I first used The Brush Guard's I was worried that I had split and ripped the first one that I tried on my Real Techniques Buffing Brush. What I hadn't realised was that the mesh guard is very stretchy and easily slips over your brushes. So don’t worry if the Guard stretches over your brush, this is actually a good thing as it is important that the Guard is not on too loosely so as not to hold the hairs in place. Since using The Brush Guard's on my brushes over the last few weeks I have found that my brushes are retaining their shape a lot more than previously. I use them mostly once I have given my brushes a thorough deep clean when the brushes are still wet. I have found in the past that when the hairs on my brushes have dried the brush looses its distinctive shape. 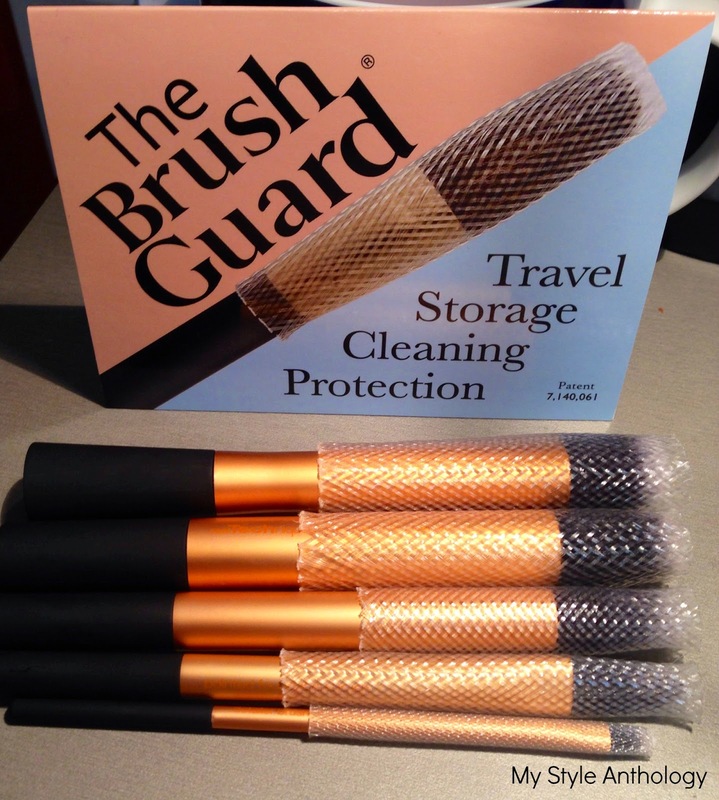 The Brush Guard's are breathable and allow my brushes to dry while also maintaining their shape, and when I am travelling The Brush Guard ensures that the hairs of my brushes won't get damaged in transit. The Brush Guard is a simple yet practical invention that is a must-have for anyone who uses and values their makeup brushes, and wants to ensure their longevity. Complexions.co.nz is the only authorised seller of The Brush Guard in New Zealand and sells 5 packs of different sized guards. I think The Brush Guard is a great idea and I use them on all of my brushes!